My husband and I lived in Idaho for 18 months, it is where our youngest was born. My favorite part of Idaho is all of the free camping. I couldn't believe you could just pop a tent almost anywhere and it is free! We lived in Rupert (in between Twin Falls and Pocatello) and we liked that we were only 3 hours from Salt Lake City which means GREAT shopping. Being in Missouri makes us miss their amazing thrift stores. You have to check out the DI thrift stores! I am excited for better thrift stores. DI is the best. We also officially purchased a huge tent for our family. Campers we will be! So maybe I mis-spelled over a dozen words in my last comment...... as I was saying I'm sorry for your sadness, maybe I will make up for it by being completely thrilled for you!! Although you are not here.. you are closer to the few Wrigley friends that still exist in this glorious state. I'm actually kind of jealous. I LOVE Idaho! It is just a beautiful place. The best of luck selling your house. Cute decor always wins ones heart over... you've accomplished that already. The rest shouldn't be hard. Wait, you're in Ohio? How did I not know this? I'm in Columbus (Dublin really). Where are you? EMILY! UH I am in Columbus too (pickerington)CRAZY. Why are we just now finding that out. We will have to do lunch!! Hey, it looks like your coming to my part of town?? Idaho Falls perhaps? I'm in a little town south of IF, Firth. Lived here 20 years and I love it. Winters are a bit long. But it will be a beautiful summer! Good Luck on the house!! DO not be stressed!! We put our home on the market last March. We didn't think it would sell but we thought, let's put it out there and see what happens. 44 days later it sold!! It will sell when the time is right. Keep us posted! Idaho seems like a lovely state! Can't wait to see what adventures you and your 3 little men can come up with out there! There isn't a better place to raise a family than Idaho! I may be a bit biased. ;) Small town Idaho is the best! I live in Southern Idaho and hope to never leave this area. If you have any questions, please ask! Good luck with your new adventures!!! 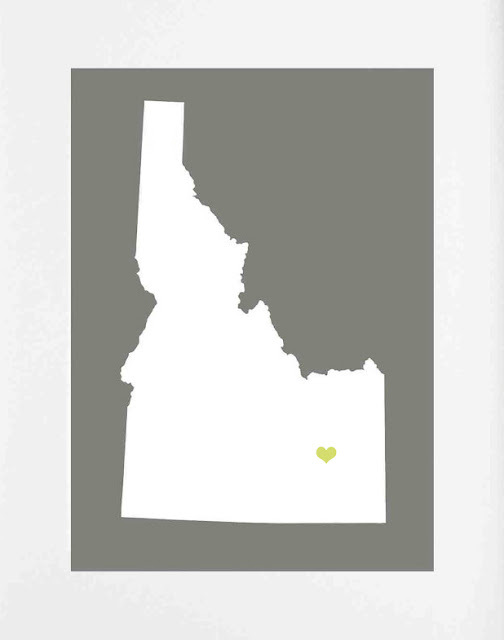 So is that heart on Pocatello or Idaho Falls? I have grown up in Idaho and spent 7 years in Pocatello for school and after we were married. Now in Idaho Falls for the foreseeable future. Just set our tent up last weekend and camped in the back yard. Our kids loved it. very cool. Excited for you all because I know your family is out west too. I've been trying to get back to Texas and hoping to be at least closer to family. Good luck in selling your home in Ohio and we'll be waiting to hear more updates! I'll be crossing my fingers and saying a prayer for your house to sell to a special family soon. :-) Nice job on all the updates! Your house looks fabulous! Thanks for the well wishes guys. You are the best. 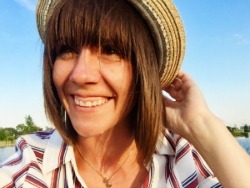 Larissa, We were excited to hear from Melissa that you are moving to Idaho Falls. You will love it here. Lots of fun places to see on a day trip. Beautiful country. Hope the house sells fast. We are moving to Idaho Falls next week ^_^ I've never been to Ohio, so I can't really compare the two. We just took a day trip to Yellowstone today, only about 2 hours away, many other great camp sites around. Plus being LDS, you'll find common ground with alot of people. Best of luck selling your home and packing! I live in Pocatello and it has it's ups and down. We don't have any escalators in our city so when we leave town my girls go crazy! There are so many hot springs out here it is amazing. We love to go hiking out to all the hidden hot springs. However, our favorite is to drive the short 2 hours to Jackson Hole, Wyoming and we love spending time at the Teton Mountain Range. Boise is a lot more humid but no matter which way you travel you can always find a cool adventure. Thanks Ladies! We are excited about all the outdoor stuff...okay so I still have only camped once in my married life, but I am excited to learn. Good luck selling your house. I am so jealous that you are moving back west! It looks like your heart is situated right over Rexburg...or at least near, in the Snake River Valley? I grew up there, and I gotta tell you it is a GREAT place to raise a family. Cold in the winter, but coming from Ohio, this shouldn't be a problem. You will love it! Feel free to email me if you have questions.